Students have to match the pictures with the corresponding sentence to learn the use of This and That. 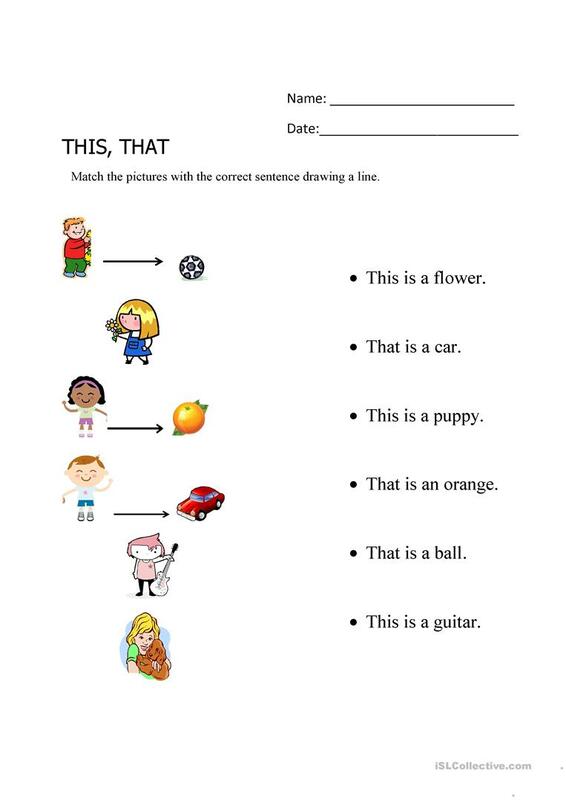 The present downloadable printable is intended for elementary school students and kindergartners and nursery school students at Beginner (pre-A1) and Elementary (A1) level. It is great for teaching THIS, THAT, THESE, THOSE (demonstratives) in English, and is excellent for developing your pupils' Reading and Writing skills. lizdavdeh is from/lives in Mexico and has been a member of iSLCollective since 2012-09-29 06:53:48. lizdavdeh last logged in on 2013-07-27 21:38:00, and has shared 3 resources on iSLCollective so far.